If you don’t have access to employer-sponsored dental insurance, you have several options in the private marketplace, including individual and family dental insurance plans and dental discount plans. Knowing the difference between dental discount plans and dental insurance plans is essential when selecting the right dental benefits. Which is best for you depends on your individual needs. What is a Dental Insurance Plan? With a dental insurance plan, providers are paid directly by the insurance company for dental services based on the coverage. Consumers pay a monthly premium to the dental insurance company and are billed by the dentist for any non-covered charges. For the most part, dental insurance plans come in two forms: indemnity and PPO (preferred provider organization). 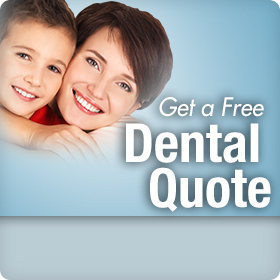 Indemnity dental insurance plans allow individuals to see any dentist they like. PPO dental insurance plans have a network of providers. Consumers who use in-network dentists will get pre-determined discounted rates on their dental care. Consumers are allowed to see out-of-network providers, but are then responsible for any amounts that exceed the plan’s reimbursement schedule. Is preventive care covered at 100 percent? What is the co-pay for office visits? What is the waiting period for basic and major care, as well as more procedures such as fillings and root canals? What is the annual maximum benefit amount the plan will pay? Is there a limit on how many times certain procedures are covered in a calendar year? Dental discount plans do not provide dental insurance benefits; they provide a percentage or dollar amount off of certain dental services. Consumers pay a company an annual or monthly fee for access to these discounts and present their card when receiving care from a participating dentist. Unlike dental insurance, those with a dental discount plan pay their dentist directly for services received. Dental discount plans and individual dental insurance both can be helpful to Americans who lack insurance benefits. Piecing together a personal benefits package requires looking at multiple possibilities. Individuals looking to compare many different dental insurance and dental discount plans can do so right here at mygenerationbenefits.com.